Was surprised to learn that Palm Jumeirah isn’t the only artificial island out there in the coast of Dubai. 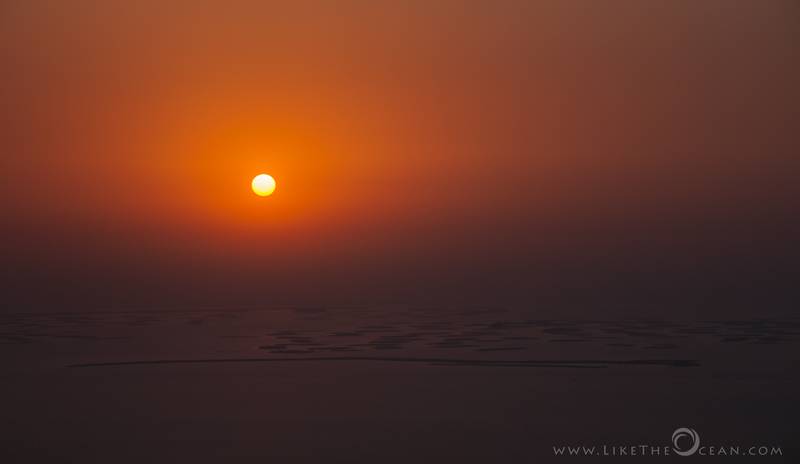 When I was in the area, learnt there were quiet a few more – The World, The Universe and may be they will even come up with a Multiverse sometime in future :) Standing on the world’s tallest man made structure (Burj Khalifa), watching ones of the largest man made islands (the world) & the Sun going down the gulf – it was quiet a tranquil. Though there was definitely an awe on all the man made structures (and islands & its eco systems), in the back of my mind, one thought did linger – how would we justify the energy required to desecrate natural, aquatic ecosystems in an effort to fabricate a habitable environment that is in no way sustainable merely, for the sake of being able to say that it was done.